In the past few years, transportation network companies that own ride-sharing apps like Uber and Lyft have spread across the country from one city to another. In Philadelphia, and even in suburban areas like Bucks County and Montgomery County, ride-sharing services have captured a huge market of riders who love the ease and convenience of hailing a ride from their phone. But as our lawyers have seen, ride-sharing has a dark side, too. As apps like Uber and Lyft become more popular, and more and more passengers share a ride, Philadelphia taxi lawyers have observed a corresponding explosion in riders who are injured—sometimes seriously—in car accidents while they are passengers with Uber or Lyft. Your see, the usual New Jersey and Philadelphia restrictions and regulations that apply to taxis don’t necessarily apply to a ride-sharing company. These apps employ drivers who aren’t required to submit to the same drug tests, background checks, or safe driving records. And they don’t have the same regulatory oversight on vehicle safety. To further complicate matters, insurance coverage gaps have plagued ride-sharing companies for years. Traditional insurance plans often apply differently to ride-sharing employees while they are driving a vehicle for hire. Regular private motor vehicle insurance will not cover a driver who is being paid a fee for the service of driving passengers about. This means that if you are injured in an accident involving ride-sharing company, whether you’re their passenger or in another car, dealing with insurance companies in the aftermath can be even more of a nightmare than usual. Pursuing a settlement for injuries sustained in a regular car accident is stressful and requires experienced legal counsel, but doing so when one of the cars involved is driven during ride-sharing service adds another layer of complication. You can leave the tough legal work to our team of experienced lawyers, serving Philadelphia and New Jersey cities as well as suburbs like Bucks County and Montgomery County. 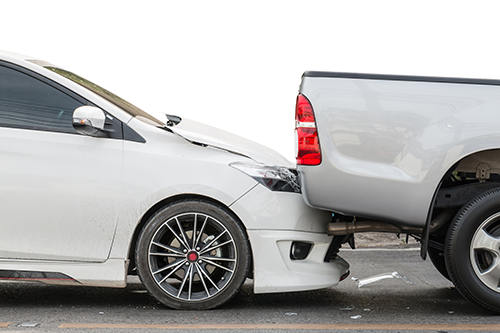 If you are injured in an accident involving a vehicle driven by a ride-sharing employee, gather as much evidence as you can at the scene, including witness accounts, license plate numbers, photographs, driver information, and insurance information. You should also visit a medical professional immediately to check you out for injury. You should present all of this information to your lawyer. The more documentation you can provide, the stronger a case we can build for you. Contact us today for a free consultation. Whether you need a lawyer experienced in Uber or Lyft accident cases or a SEPTA injury attorney, we’ll aggressively pursue justice and help you win back the settlement you deserve.